Casablanca,The Usual Suspects, Alien, Seven, The Notebook... Whether it packs an emotional punch, takes an unexpected twist, or presents the horror of Gwyneth Paltrow’s head in a box, an effective movie ending will stay with an audience long after the final credits roll. These movies are classics for many reasons, not least those memorable final scenes, but more often than not there is more than one ending to a Hollywood film. Alternate endings may feature at writing or storyboard stage while others are filmed and discarded due to unfavourable test audience reactions or wrangling between directors and studios. One such alternate has surfaced in the cut of The Notebook currently streaming on Netflix UK and Ireland. The uproar from fans regarding the unexpected alternate ending serves only to prove how beloved the film is, particularly for its original, heartbreaking yet life affirming final scene. Nick Cassavetes' 2004 big screen adaptation of the Nicholas Sparks novel of the same name is the epitome of epic romantic drama, charting the lifelong and tumultuous love between rich young woman Allie (Rachel McAdams) and poor young man Noah (Ryan Gosling) who must traverse social class and family interference to be together. The original theatrical ending features an elderly Noah lying in a hospital bed beside his dying wife Allie, who has dementia and flits in and out of periods of lucidity. As she remembers who Noah is one last time, they kiss, and drift off to eternal sleep to be found dead together, holding hands, the next morning by nursing staff. However, in the version on Netflix the scene cuts as they kiss and the final moments are replaced by footage of birds flying in formation across a lake. It’s a jarring edit and fans have taken to social media to air their grievances. Netflix have responded to the furore by revealing that they did not edit the film but were supplied with a version featuring an alternate ending and it is something they say they are "getting to the bottom of asap". The version is certainly a more sanitised one which dilutes the emotionally difficult ending. However, many popular, and indeed beloved, films have what you might call sanitised endings. 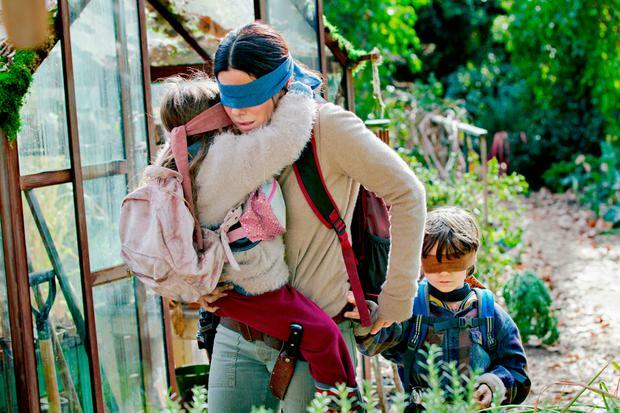 The most recent example comes via Netflix’s own production, Bird Box. One of the criticisms of the post-apocalyptic thriller was that the upbeat ending was jarringly at odds with the rest of the film. For the most part it’s a bleak and brutal dystopian horror charting the struggle of a mother (Sandra Bullock) and her two children to survive after the arrival of mysterious creatures who, once seen with the naked eye, prompt people to kill themselves in a variety of violent and horrifying ways. It’s tense, terrifying, and relentlessly bleak. The ending, however, sees Malorie arrive at a former school for the blind, a Utopia of sorts where people who are blind and people who are not are all sitting around in peace and harmony surrounded by birds who can alert them to the impending arrival of the creatures. It’s a much more uplifting end to the tale than the original ending featured in the Josh Malerman novel on which the film is based. In the book the people living at the sanctuary are people who have gouged their own eyes out to avoid being killed by the creatures. Director Susanne Bier defended the change in ending for the Netflix film. “The movie is slightly more positive. The movie is, in many aspects, different from the book, but it’s also very rooted in the book,” she told Polygon. “The book also has a kind of positive ending and I would not have wanted to do an apocalyptic movie that didn’t have a hopeful ending. In a way, pretty much everything I’ve done has had some sort of a hopeful ending. Also, Get Out, Jordan Peele’s hugely original horror which earned four Oscar nominations last year, winning one for Peele’s screenplay, had a different, much bleaker ending. The film follows a young black man called Chris (Daniel Kaluuya) on his first visit to meet his white girlfriend’s family. He has no idea of the horror that awaits. It’s a visceral, edge-of-your-seat, anxiety-laden experience so when that final scene arrives with Chris' best mate Rod (Lil Rel Howery) saving the day, it's a very welcome relief. However, an alternate ending surfaced online recently in which things don't end up quite so well for Chris who, instead of being rescued by Rod, is handcuffed and dragged away by two white cops. Writer/director Peele wrote several different endings but chose the positive one because he needed "to transform into something that gives us a hero, that gives us an escape, that gives us a positive feeling." For many directors, however, their instinct is to challenge the audience with a darker ending. Often they are overruled by a studio unwilling to turn moviegoers off by denying them their walk into the sunset. 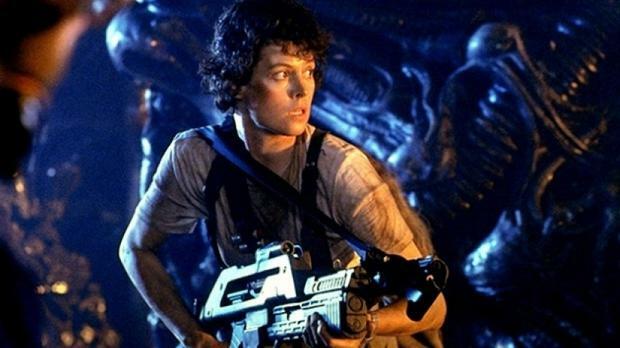 On 1979 sci fi classic Alien, director Ridley Scott did not want Ripley (Sigourney Weaver) to survive that final attack by the alien. The theatrical ending sees Ripley escape from the Nostromo on a shuttle, unaware that the alien is on board. She’s attacked by it again but manages to fight it off and kick its backside out into space. Ridley’s alternate ending saw the protagonist eaten by the alien in the escape pod and the alien then mimicking her voice in a message back to Earth, informing them she’s on her way home. The director was overruled by producers undoubtedly keen to keep their leading lady intact for future endeavours, and the paying audience happy with a nice, neat bow-tie of an ending. A similar stand-off reportedly took place between screenwriter Quentin Tarantino and director Tony Scott over the ending of 1993 romantic crime drama True Romance. The film sees Bonnie and Clyde style lovers Alabama (Patricia Arquette) and Clarence (Christian Slater) survive a shoot-out and escape together to live happily ever after, one assumes. Tarantino’s original ending, however, saw Clarence dying of a gunshot wound and Alabama hitchhiking to Mexico by herself. Scott had the final say opted to save the characters he had “fallen in love with”. Having seen the final cut, Tarantino was in agreement with the positive ending. Of course, the most famous case of diverse endings is Blade Runner. The 1982 sci-fi classic has multiple cuts, with different endings varying in tone. The original ambiguous ending didn’t sit well with test audiences. The theatrical release, therefore, had an upbeat ending with Dekard (Harrison Ford) and Rachel (Sean Young) driving through the countryside, which didn’t quite meld tonally with the rest of the film. The director’s cut, released in 1992 and again in 2007, was more like the original in tone with an ambiguous ending. In some cases, the decision to sanitise a film or opt for a positive ending is down to test audiences, who will often baulk at bleakness. Take 28 Days Later, Danny Boyle’s 2002 zombie horror, for example. Boyle’s original ending saw Cillian Murphy’s character dying of a gunshot wound in a hospital bed as the two female stars head off into the unknown. Following test screenings where audiences deemed it too sad Boyle changed the ending so that Murphy survived. So, it seems that many Hollywood flicks are already sanitised for our viewing pleasure rather than our viewing pain. However, it’s one thing releasing an alternate ending as part of a director’s cut DVD or special, it’s another thing entirely to offer an alternate ending to audiences who are expecting the original as it was screened in their country. Granted, it’s a small change of just a few seconds, but in a film like The Notebook, where the emotional punch and payoff comes in those final few seconds, it’s a hugely significant one.